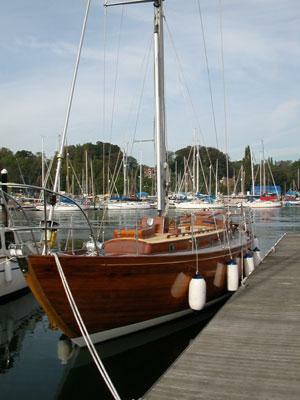 Varen was originally built but the shipwrights of A.H.Moody and Sons at Swanick on the river Hamble in the 1950's. With a lot a yachts her age the original wooden spars were replaced in the 70's with alloy as a low maintenance easy option. Having been lovingly restored by her current owner the final part of the jigsaw was the move back to wooden spars.